Now, who doesn't love furry little kitties and puppies? 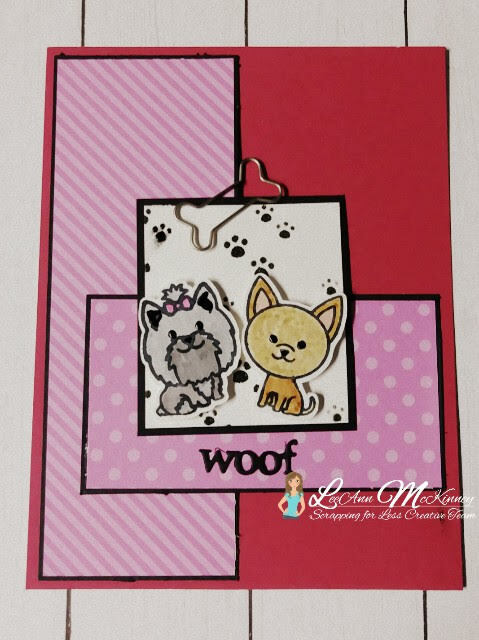 We have put together a sweet puppy and kitten kit for you this month. keep sharing in the Scrapping for Less: Show and Share group and on Instagram. We love to see your shares! Now, hop on with us and see what our fabulous Design Team and guest designers has to share with you! 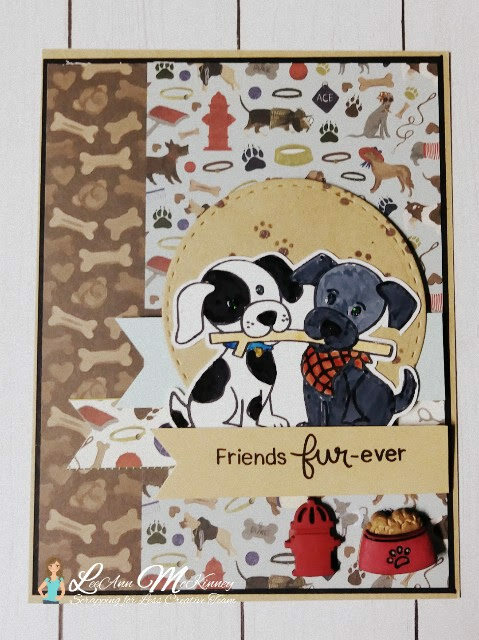 Paper, Stamps from Collection 1, Stencil from Collection 4, Buttons from Banana Split. Paper, Stamps, Clip from Collection 2, Stencil from Collection 4, Die from Banana Split. 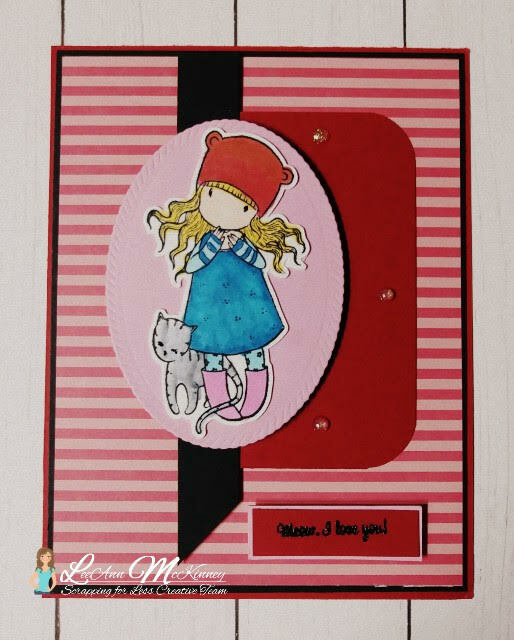 Paper, Stamps from Collection 3, Stencil from Collection 4, Die/Button from Banana Split. Paper, Stamp from Collection 4. You should have come to me from Courtney's Blog and up next is going to be Tanya's Blog. Make sure you check out our *Flavor of the month page to purchase the kit and check out the *A La Carte page for some related products! Be sure to enter the *Rafflecopter this month! LOVE those cards!!! Beautiful as always! Very nice! The little girl and her kitty is my favorite. 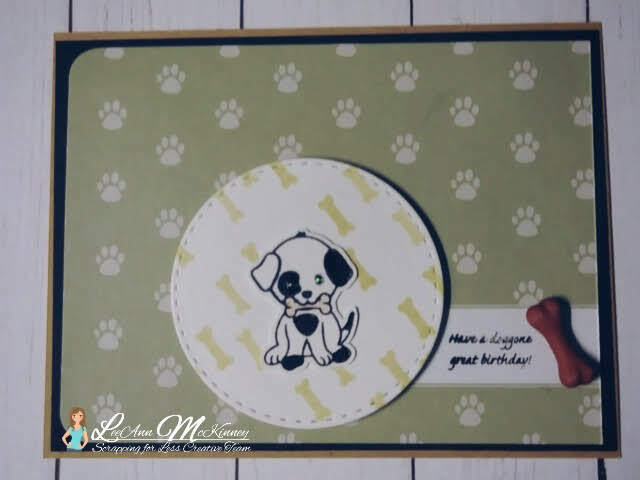 Fun kit to make adorable cards. Great job! 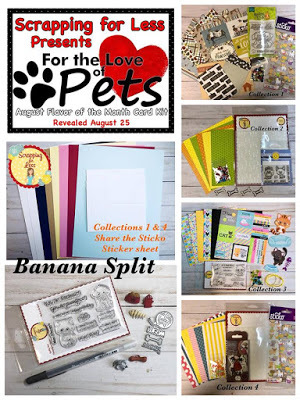 I love your furr pet cards. Fab work on these cards. Too cute...thanks for the inspiration!